From the source to your own branded bottle, for as little as 15p per bottle. Probably the cheapest mineral water in the UK! 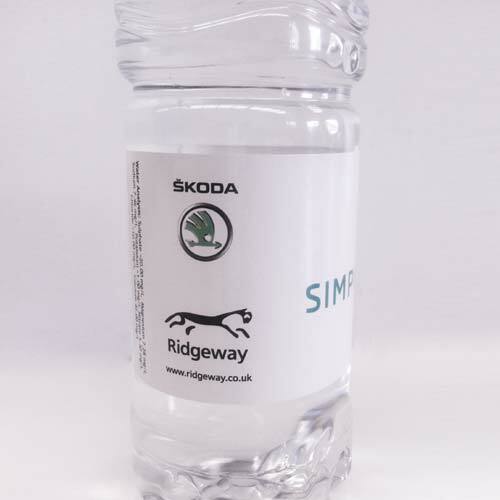 from the source to your own branded bottle, for as little as 19p per bottle, with a turnaround time as little as 5 days..
Why sell other people’s branded bottles when you could be advertising and promoting your own business event? Follow the steps to get a quote for your Bottle! From concepts to completed artwork our experienced team of designers will be delighted to weave their magic to create the ultimate impact for your brand. 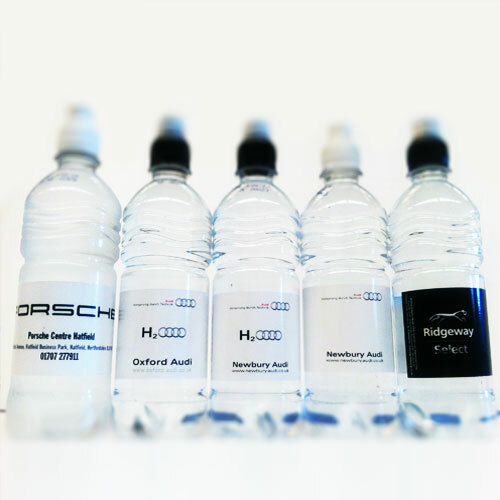 Whether it’s a simple logo or something with the WOW factor that will help your company stand out on the branded water for all the right reasons. 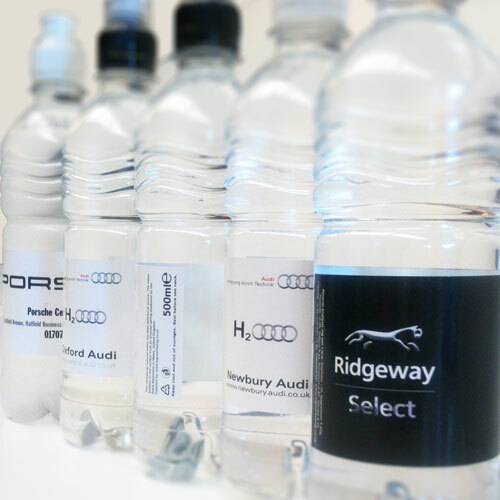 in a range of colours and full-colour printed labels. Trade + wholesale price available on request. 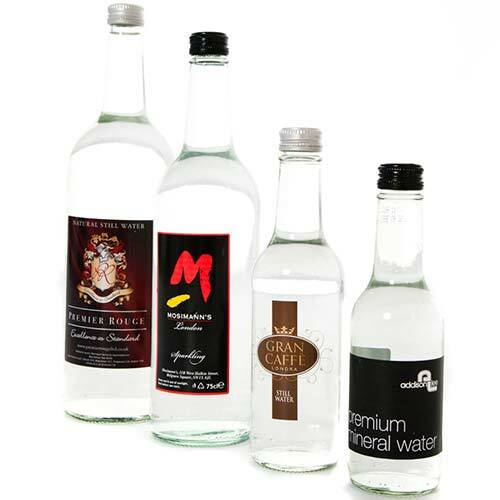 Our branded natural mineral water can be supplied to you in clear glass bottles or recyclable bottles of clear or blue-tinted plastic. 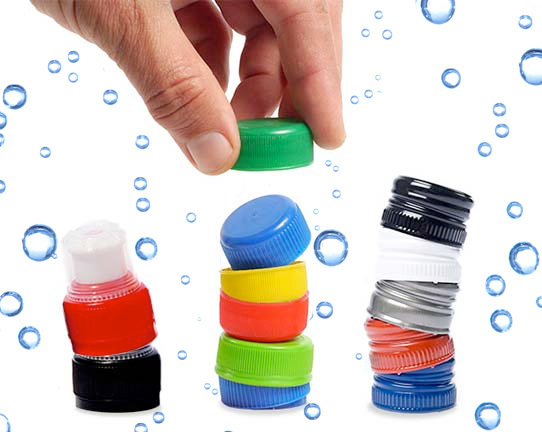 To match your company’s corporate colours as closely as possible, we can also provide screw caps or sports caps in a variety of colours. Also, because our branded natural mineral water is fresh for up to 12 months, you don’t have to use all of your stock in one go. 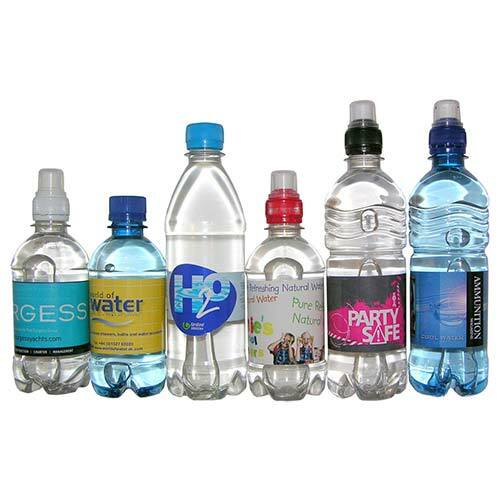 For more information on how we can help assist you with your bottled water requirements and support your promotions or events, call 01908 326605 . 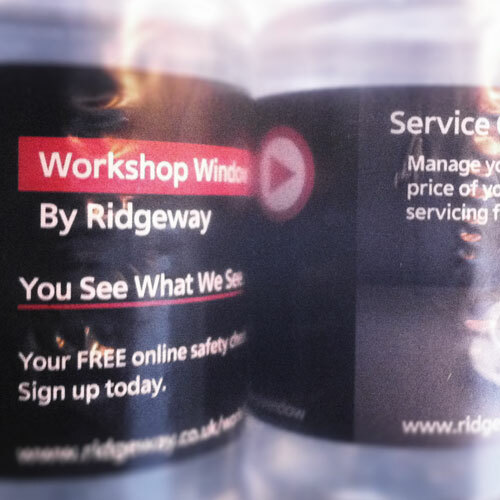 Bottle labels are bespoke to your needs (except for regulatory information that must appear on the label). Our in-house graphics studio can create label designs to match your requirements, and where necessary to your corporate identity guidelines. Up to 80,000 gallons of natural water is produced a day by an underground source in The Black Mountains of southeast Wales, a range of hills located in Powys and Monmouthshire that spreads into Herefordshire across the England-Wales border. The source itself falls within a 3,000-acre catchment area of the Brecon Beacons National Park and is 800 feet above sea level, within an Environment Agency Protected Zone, an Area of Outstanding Natural Beauty. The Black Mountains Water spring emerges at the eastern boundary and much higher than any farmland, which assists in maintaining purity and low nitrate levels. 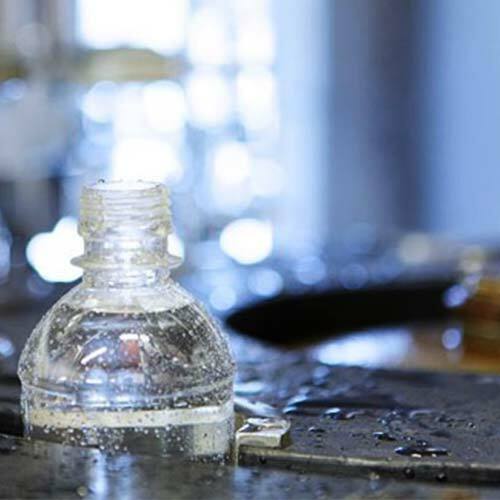 At every stage of its progress – from underground source, to bottling, labelling and delivery – our water is monitored, so that your customers will enjoy natural mineral water, bottled with your label. 2.1 This document was created using by Branded Mineral Water. 3.1 Copyright (c) 2016 Branded Mineral Water. 3.2 Subject to the express provisions of these terms and conditions: (a) we, together with our licensors, own and control all the copyright and other intellectual property rights in our website and the material on our website; and (b) all the copyright and other intellectual property rights in our website and the material on our website are reserved. 4.1 You may: (a) view pages from our website in a web browser; (b) download pages from our website for caching in a web browser; (c) print pages from our website; (d) stream audio and video files from our website; and (e) use our website services by means of a web browse, subject to the other provisions of these terms and conditions. 4.2 Except as expressly permitted by Section 4.1 or the other provisions of these terms and conditions, you must not download any material from our website or save any such material to your computer. 4.3 You may only use our website for your own personal and business purposes, and you must not use our website for any other purposes. 4.4 Except as expressly permitted by these terms and conditions, you must not edit or otherwise modify any material on our website. 4.5 Unless you own or control the relevant rights in the material, you must not: (a) republish material from our website (including republication on another website); (b) sell, rent or sub-license material from our website; (c) show any material from our website in public; (d) exploit material from our website for a commercial purpose; or (e) redistribute material from our website. 4.6 Notwithstanding Section 4.5, you may redistribute our newsletters in print and electronic form to any person. 4.7 We reserve the right to restrict access to areas of our website, or indeed our whole website, at our discretion; you must not circumvent or bypass, or attempt to circumvent or bypass, any access restriction measures on our website. 5.1 You must not: (a) use our website in any way or take any action that causes, or may cause, damage to the website or impairment of the performance, availability or accessibility of the website; (b) use our website in any way that is unlawful, illegal, fraudulent or harmful, or in connection with any unlawful, illegal, fraudulent or harmful purpose or activity; (c) use our website to copy, store, host, transmit, send, use, publish or distribute any material which consists of (or is linked to) any spyware, computer virus, Trojan horse, worm, keystroke logger, rootkit or other malicious computer software; (d) conduct any systematic or automated data collection activities (including without limitation scraping, data mining, data extraction and data harvesting) on or in relation to our website without our express written consent; (e) access or otherwise interact with our website using any robot, spider or other automated means, except for the purpose of search engine indexing; (f) violate the directives set out in the robots.txt file for our website; or (g) use data collected from our website for any direct marketing activity (including without limitation email marketing, SMS marketing, geo-location marketing, telemarketing and direct mailing). 5.2 You must not use data collected from our website to contact individuals, companies or other persons or entities. 5.3 You must ensure that all the information you supply to us through our website, or in relation to our website, is true, accurate, current, complete and non-misleading. 6.1 To be eligible for an account on our website under this Section 6, you must be resident or situated in the United Kingdom. 6.2 You may register for an account with our website by completing and submitting the account registration form on our website, and clicking on the verification link in the email that the website will send to you. 6.3 You must not allow any other person to use your account to access the website. 6.4 You must notify us in writing immediately if you become aware of any unauthorised use of your account. 6.5 You must not use any other person's account to access the website. 7.1 If you register for an account with our website, we will provide you with a user ID and password. 7.2 Your user ID must not be liable to mislead and must comply with the content rules set out in Section 10; you must not use your account or user ID for or in connection with the impersonation of any person. 7.3 You must keep your password confidential. 7.4 You must notify us in writing immediately if you become aware of any disclosure of your password. 7.5 You are responsible for any activity on our website arising out of any failure to keep your password confidential, and may be held liable for any losses arising out of such a failure. 8.1 We may: (a) suspend your account; (b) cancel your account; and/or (c) edit your account details, at any time in our sole discretion without notice or explanation. 8.2 You may cancel your account on our website using your account control panel on the website. 9.1 In these terms and conditions, "your content" means all works and materials (including without limitation text, graphics, images, audio material, video material, audio-visual material, scripts, software and files) that you submit to us or our website for storage or publication on, processing by, or transmission via, our website. 9.2 You grant to us a worldwide, irrevocable, non-exclusive, royalty-free licence to use, reproduce, store, adapt, publish, translate and distribute your content in any existing or future media 9.3 You grant to us the right to sub-license the rights licensed under Section 9.2. 9.4 You grant to us the right to bring an action for infringement of the rights licensed under Section 9.2. 9.5 You hereby waive all your moral rights in your content to the maximum extent permitted by applicable law; and you warrant and represent that all other moral rights in your content have been waived to the maximum extent permitted by applicable law. 9.6 You may edit your content to the extent permitted using the editing functionality made available on our website. 9.7 Without prejudice to our other rights under these terms and conditions, if you breach any provision of these terms and conditions in any way, or if we reasonably suspect that you have breached these terms and conditions in any way, we may delete, unpublish or edit any or all of your content. 10.1 You warrant and represent that your content will comply with these terms and conditions. 10.2 Your content must not be illegal or unlawful, must not infringe any person's legal rights, and must not be capable of giving rise to legal action against any person (in each case in any jurisdiction and under any applicable law). 10.3 Your content, and the use of your content by us in accordance with these terms and conditions, must not: (a) be libellous or maliciously false; (b) be obscene or indecent; (c) infringe any copyright, moral right, database right, trade mark right, design right, right in passing off, or other intellectual property right; (d) infringe any right of confidence, right of privacy or right under data protection legislation; (e) constitute negligent advice or contain any negligent statement; (f) constitute an incitement to commit a crime (g) be in contempt of any court, or in breach of any court order; (h) be in breach of racial or religious hatred or discrimination legislation; (i) be blasphemous; (j) be in breach of official secrets legislation; (k) be in breach of any contractual obligation owed to any person; (l) depict violence in an explicit, graphic or gratuitous manner; (m) be pornographic, lewd, suggestive or sexually explicit; (n) be untrue, false, inaccurate or misleading; (o) consist of or contain any instructions, advice or other information which may be acted upon and could, if acted upon, cause illness, injury or death, or any other loss or damage; (p) constitute spam; (q) be offensive, deceptive, fraudulent, threatening, abusive, harassing, anti-social, menacing, hateful, discriminatory or inflammatory; or (r) cause annoyance, inconvenience or needless anxiety to any person. 11.1 We do not warrant or represent: (a) the completeness or accuracy of the information published on our website; (b) that the material on the website is up to date; or (c) that the website or any service on the website will remain available. 11.2 We reserve the right to discontinue or alter any or all of our website services, and to stop publishing our website, at any time in our sole discretion without notice or explanation; and save to the extent expressly provided otherwise in these terms and conditions, you will not be entitled to any compensation or other payment upon the discontinuance or alteration of any website services, or if we stop publishing the website. 11.3 To the maximum extent permitted by applicable law and subject to Section 12.1, we exclude all representations and warranties relating to the subject matter of these terms and conditions, our website and the use of our website. 12.1 Nothing in these terms and conditions will: (a) limit or exclude any liability for death or personal injury resulting from negligence; (b) limit or exclude any liability for fraud or fraudulent misrepresentation; (c) limit any liabilities in any way that is not permitted under applicable law; or (d) exclude any liabilities that may not be excluded under applicable law. 12.2 The limitations and exclusions of liability set out in this Section 12 and elsewhere in these terms and conditions: (a) are subject to Section 12.1; and (b) govern all liabilities arising under these terms and conditions or relating to the subject matter of these terms and conditions, including liabilities arising in contract, in tort (including negligence) and for breach of statutory duty, except to the extent expressly provided otherwise in these terms and conditions. 12.3 To the extent that our website and the information and services on our website are provided free of charge, we will not be liable for any loss or damage of any nature. 12.4 We will not be liable to you in respect of any losses arising out of any event or events beyond our reasonable control. 12.5 We will not be liable to you in respect of any business losses, including (without limitation) loss of or damage to profits, income, revenue, use, production, anticipated savings, business, contracts, commercial opportunities or goodwill. 12.6 We will not be liable to you in respect of any loss or corruption of any data, database or software. 12.7 We will not be liable to you in respect of any special, indirect or consequential loss or damage. 12.8 You accept that we have an interest in limiting the personal liability of our officers and employees and, having regard to that interest, you acknowledge that we are a limited liability entity; you agree that you will not bring any claim personally against our officers or employees in respect of any losses you suffer in connection with the website or these terms and conditions (this will not, of course, limit or exclude the liability of the limited liability entity itself for the acts and omissions of our officers and employees). 13.1 Without prejudice to our other rights under these terms and conditions, if you breach these terms and conditions in any way, or if we reasonably suspect that you have breached these terms and conditions in any way, we may: (a) send you one or more formal warnings; (b) temporarily suspend your access to our website; (c) permanently prohibit you from accessing our website; (d) block computers using your IP address from accessing our website; (e) contact any or all of your internet service providers and request that they block your access to our website; (f) commence legal action against you, whether for breach of contract or otherwise; and/or (g) suspend or delete your account on our website. 13.2 Where we suspend or prohibit or block your access to our website or a part of our website, you must not take any action to circumvent such suspension or prohibition or blocking (including without limitation creating and/or using a different account). 14.1 We may revise these terms and conditions from time to time. 14.2 The revised terms and conditions shall apply to the use of our website from the date of publication of the revised terms and conditions on the website, and you hereby waive any right you may otherwise have to be notified of, or to consent to, revisions of these terms and conditions 14.3 If you have given your express agreement to these terms and conditions, we will ask for your express agreement to any revision of these terms and conditions; and if you do not give your express agreement to the revised terms and conditions within such period as we may specify, we will disable or delete your account on the website, and you must stop using the website. 15.1 You hereby agree that we may assign, transfer, sub-contract or otherwise deal with our rights and/or obligations under these terms and conditions. 15.2 You may not without our prior written consent assign, transfer, sub-contract or otherwise deal with any of your rights and/or obligations under these terms and conditions. 16.1 If a provision of these terms and conditions is determined by any court or other competent authority to be unlawful and/or unenforceable, the other provisions will continue in effect. 16.2 If any unlawful and/or unenforceable provision of these terms and conditions would be lawful or enforceable if part of it were deleted, that part will be deemed to be deleted, and the rest of the provision will continue in effect. 17.1 A contract under these terms and conditions is for our benefit and your benefit, and is not intended to benefit or be enforceable by any third party. 17.2 The exercise of the parties' rights under a contract under these terms and conditions is not subject to the consent of any third party. 19.1 These terms and conditions shall be governed by and construed in accordance with English law. 19.2 Any disputes relating to these terms and conditions shall be subject to the jurisdiction of the courts of England. 20.1 We are registered in [trade register]; you can find the online version of the register at [URL], and our registration number is [number]. 20.2 We are subject to [authorisation scheme], which is supervised by [supervisory authority]. 20.3 We are registered as [title] with [professional body] in [the United Kingdom] and are subject to [rules], which can be found at [URL]. 20.4 We subscribe to [code(s) of conduct], which can be consulted electronically at [URL(s)]. 20.5 Our VAT number is [number]. 21.1 This website is owned and operated by Branded Mineral Water 21.2 We are registered in England and Wales under registration number [number], and our registered office is at [address]. 21.3 Our principal place of business is at [address]. 21.4 You can contact us: (a) [by post, using the postal address [given above]]; (b) [using our website contact form]; (c) [by telephone, on [the contact number published on our website from time to time]]; or (d) [by email, using [the email address published on our website from time to time]]. 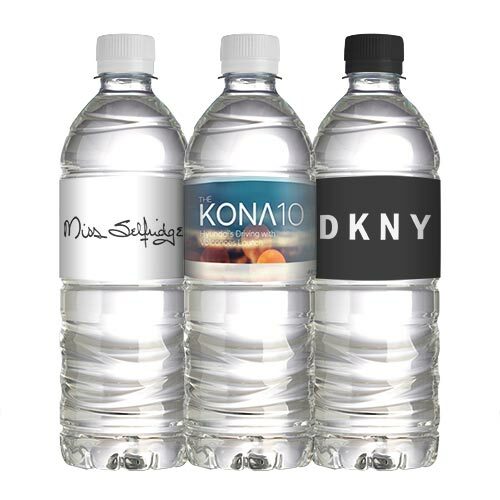 Branded Mineral Water respect your privacy and are committed to maintaining the privacy and confidentiality of the personal information we collect. 1.1. Consent By contacting us by email, phone or by filling in a contact form on our website (www.Branded Mineral Water.com) or other sites owned by Branded Mineral Water, you agree and accept that we may gather, process, store and/or use the personal data submitted in accordance with the rules set forth below. We do not access log data from our website server unless we are investigating suspicious or potential criminal activity. We do not make, nor do we allow our hosting provider to make, any attempt to identify you from the information collected via server logs. compliance with a legal obligation to which we are subject (article 6(1)(c) of the General Data Protection Regulation. We and our third party hosting provider have a legitimate interest in using your information for the purposes of ensuring network and information security. We may also collect any other information you provide to us when you complete the contact form. If you do not supply the mandatory information required by our contact form, you will not be able to submit the contact form and we will not receive your enquiry. where your message relates to us providing you with goods or services or taking steps at your request prior to providing you with our goods and services (for example, providing you with information about such goods and services), we will process your information in order to do so). Google Analytics does not collect any personal information such as a user’s name or email address How is the data used? Data collected by the Google Analytics service is stored in the United States and non-personally identifiable information may be used by Google and its partners (for further details visit www.google.com/analytics/terms/gb.html ). Server log information: we retain information on our server logs for 30 days after which it is automatically deleted. Correspondence and enquiries: when you make an enquiry or correspond with us for any reason, whether by email, phone or via our contact form, we will retain your information for as long as it takes to respond to and resolve your enquiry, and for 3 further month(s) after which point we will delete your information. Branded Mineral Water may publish a list of Customers and Testimonials on its site with information on our customer’s names and job titles. Branded Mineral Water undertakes to obtain the authorisation of every customer before publishing any testimonial on its website. 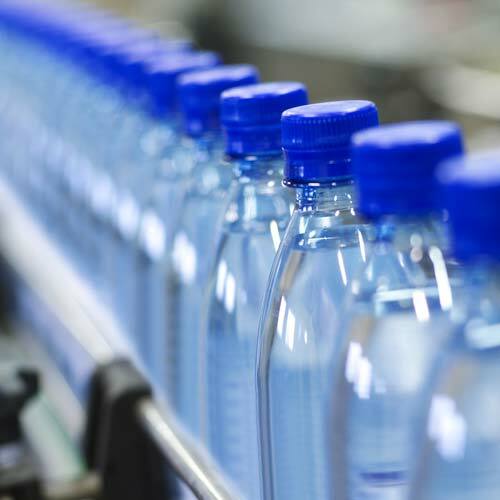 In the event of a breach of security, Branded Mineral Water will directly inform those affected without undue delay, no later than 72 hours after having become aware of it. We may engage third-party companies service providers or business partners to process our data and to support our business. Generally, we do not receive information about you from third parties. The third parties from which we receive information about you may include recruitment agencies, hosting provides, payment providers, clients, suppliers. necessary to perform a contract or to take steps at your request to enter into a contract (Article 6(1)(b) of the General Data Protection Regulation). where a third party has passed on information about you to us (such as your name and email address) in order for us to provide services to you, we will process your information in order to take steps at your request to enter into a contract with you and perform a contract with you (as the case may be). where you have asked that a third party to share information about you with us and the purpose of sharing that information is not related to the performance of a contract or services by us to you, we will process your information on the basis of your consent, which you give by asking the third party in question to pass on your information to us. our legitimate interests (Article 6(1)(f) of the General Data Protection Regulation). where you have entered into a contract or requested that we enter into a contract with you, in certain circumstances, we will obtain information about you from public sources in order to enable us to understand your business and provide services to you or services to a sufficient standard. our legitimate interests (Article 6(1)(f) of the General Data ProtectionRegulation). in certain circumstances, we will have a legitimate interest in obtaining information about you from public and private sources. For example, if you have infringed or we suspect that you have infringed any of our legal rights, we will have a legitimate interest in obtaining and processing information about you from such sources in order to investigate and pursue any suspected or potential infringement. We do not display the identities of our service providers publicly by name for security and competitive reasons. If you would like further information about the identities of our service providers, however, please contact us directly or by email and we will provide you with such information where you have a legitimate reason for requesting it (where we have shared your information with such service providers, for example). legitimate interests (Article 6(1)(f) of the General Data Protection Regulation). where we share your information with these third parties in a context other than where is necessary to perform a contract (or take steps at your request to do so), we will share your information with such third parties in order to allow us to run and manage our business efficiently. necessary to perform a contract and/or to take steps at your request prior to entering into a contract (Article 6(1)(b) of the General Data Protection Regulation). •	Sharing your information with third parties, which are either related to or associated with the running of our business, where it is necessary for us to do so. We do not display the identities of the other third parties we may share information with by name for security and competitive reasons. If you would like further information about the identities of such third parties, however, please contact us directly or and we will provide you with such information where you have a legitimate reason for requesting it (where we have shared your information with such third parties, for example). and managing our business efficiently. enforcing our legal rights and taking steps to enforce our legal rights. compliance with a legal obligation (Article 6(1)(c) of the General Data Protection Regulation). legal obligations to disclose information which are part of the laws of [England and Wales] or if they have been integrated into the United Kingdom’s legal framework (for example in the form of an international agreement which the United Kingdom has signed). where the legal obligations are part of the laws of another country and have not been integrated into the United Kingdom’s legal framework, we have a legitimate interest in complying with these obligations. At this time, we do not respond to Do Not Track browser settings or signals.